Over its twenty years of existence, the single currency has withstood hostility and economic and monetary crises to become the cornerstone of political and economic unification in Europe. The idea of creating a single currency for the entire European Economic Community (EEC) was first mooted in the 1960s. As a result of the establishment of a common market, the euro was introduced in 1999 and put into circulation on December 31st 2001. This was another step in the construction of Europe that resulted in profound adjustments in the policy of Eurozone members. Another key move was the creation of the European Central Bank in 1998 which took over some of the tasks which national central banks had previously carried out; the ECB was mandated by Article 127 of the Maastricht Treaty to ensure price stability by avoiding prolonged periods of inflation or deflation. The price increase target, which must be around 2% without going above it, was considered favorable to the economy of the entire Eurozone, both in terms of growth and employment. The ECB's second mandate, which stems from the first, is to support ‘the general economic policies of the Union’; in short, to act in favor of the economic growth of all Eurozone members. This target has been achieved: since the introduction of the euro, GDP per capita in the Eurozone has grown at a similar pace to that of the United States at an average 1.1 % per year between 1999 and 2017. The ECB has several tools at its disposal to carry out its mission, including the setting of its key interest rate which directly affects the real economy through the loan rates applied by the banks and remuneration of deposits. The financial crisis of 2007, then the debt crisis in the Eurozone which started in 2009, not only tested the ECB's mandate but also forced it to expand its arsenal of monetary tools by embarking on an unconventional monetary policy. Between 2009 and 2012, the banking systems of several European countries (Ireland, Portugal, and Spain) were weakened by the repercussions of the subprime crisis. To avoid bankruptcy, member states flew to the rescue of financial institutions, such as Bank of Ireland, considered too big to fail. This rescue operation heavily impacted public debt. By way of example, Portugal's debt increased from 83% of GDP in 2009 to 126 % in 2012, Spain's from 59% to 85%. In the summer of 2012, Spain was attacked on the bond markets as its long-term borrowing rate soared. Fearing contagion to the rest of the Eurozone, ECB Chairman Mario Draghi said that the institution was ‘ready to do whatever is necessary to preserve the euro’. This statement stuck in the minds and immediately settled the markets and marked the start of a wave of non-conventional operations by the ECB, including the purchase of bad debt from Eurozone banks and 220 billion euros of sovereign bonds from Spain, Italy, and Ireland (Securities Markets Programme). In 2015, the Frankfurt institution adopted a quantitative easing programme, similar to that put in place by the Fed, the Bank of England, and the Bank of Japan after the 2007 crash. Between 2015 and 2018, the ECB bought €2.6 trillion worth of assets. The crisis also resurrected some ghosts from the past, including the concealment of Greece's public debt which had enabled it to meet Eurozone entry criteria. This chicken had come home to roost and Greek crisis proved to be one of the biggest threats to the survival of the euro and the mandate of the ECB. In 2009, the scale of Greece's deficit (over 12%) and its public debt (nearly 120% of GDP) took the markets by surprise and Athens was unable to re-finance itself on the bond markets. Over the course of just a few months, the situation deteriorated to the point that the scenario of a default on Greek debt became plausible. An exit from the Eurozone was even considered to allow the country to devalue its currency. Beyond the economic crisis, the Greek case resulted in a Eurozone governance crisis and tested the very limits of European solidarity. Closely observed from abroad, the management of the crisis was then confronted by supporters, led by Germany, of the Pact of Stability and Growth adopted in 1997 by Eurozone members and countries in economic difficulty. Despite sometimes strong opposition, European solidarity prevailed, and Mario Draghi managed to impose his principles of maintaining cohesion and solidarity. In all, 288.7 billion euros were lent to Athens to avoid bankruptcy. 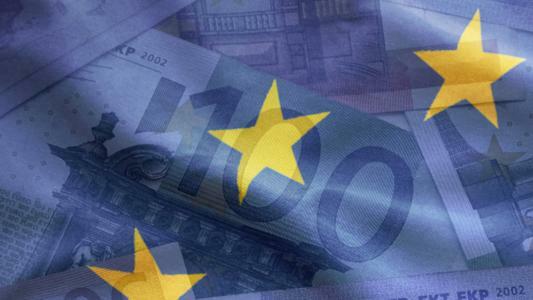 Has the Eurozone emerged stronger from this crisis? It has at least demonstrated its soundness. In 2012 the Eurozone created a European Security Mechanism, with 700 billion euros available to help member countries or banks in difficulty. The Greek crisis was officially declared over in June 2018. In two decades, the euro has become a major currency and the second largest reserve currency in the world after the dollar. Its main weakness, the lack of a single country deciding on its monetary policy, has also played in its favor internationally against the dollar, which often used as an economic and geopolitical weapon by Washington. The euro is the currency of the world's largest exporter of goods and services and was used in 36% of international transactions in 2017. Europe would like to further strengthen this role in world trade both financially and commercially. In December 2018, the European Commission published a recommendation urging economic stakeholders (governments and companies) to promote the euro in the energy sector, still largely dominated by the dollar. ‘Strengthening the international role of the euro in the field of energy investment and trade will help reduce the risk of supply disruptions and promote the autonomy of European businesses,’ said Commissioner for Climate Action and Energy, Miguel Arias Cañete. The euro is also a monetary reference. Andorra, Monaco, San Marino, and Vatican City all use it as their official currency and, according to the European Commission, some 60 countries or areas - 175 million people - have linked their currencies to the single currency by variable or fixed exchange rates. This is the case in Denmark, Bosnia and Herzegovina, and countries using the CFA Franc. The euro has evolved from a political project supported by a handful of European nations to become more than a technocratic construction. The single currency has fulfilled its mission of rallying people towards a common destiny. Despite criticisms, despite crises, and despite the long road ahead, the euro is increasingly popular. According to the 2018 Eurobarometer, 75% of Eurozone citizens thought that the single currency was a good thing for the EU, only 67% thought so in 2011.